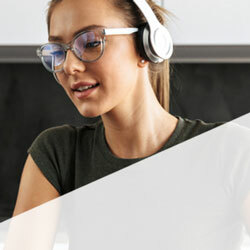 RS Components has partnered with TE Connectivity to launch the TE Learning Centre on DesignSpark. The courses will allow designers and engineers to achieve a fast overview of many advanced products, technologies and solutions. The TE Learning Centre gives easy access to a host of interactive online micro-courses. Created to speed engineers’ knowledge and understanding, the bite-sized sessions last between 5-10 minutes long and offer information on a variety of different technologies and applications, as well as giving several product-specific tutorials. Also, available within each course are additional resources that allow engineers to go much deeper into a subject if required. The library of micro-courses already available in the centre comprises tutorials on pressure sensors; USB Type-C receptacles; micro-motor connectors; wire markers; straight and right-angle connectors; heat-shrink tubing; and circular hybrid connectors, among many others. The library will be augmented with new courses being added regularly.